I really didn't expect to like Tampa Bay as much as I did. Not that I was expecting to dislike it. But sometimes coastal cities in Florida can all start to feel alike. There's something about Tampa Bay, though. It's cultured, yet relaxed, and I noticed that while the city seemed to draw young professionals, you could still find cute young families and well-dressed retirees all coexisting. I also love that you can do museums and aquariums and educational activities, or you can choose to be a laid-back beach bum family with water activities everywhere. There truly is something for everyone in this city. This post was written in collaboration with Visit Tampa Bay, who provided a CityPass to facilitate my research. You can also check out my article for TravelPulse on family-friendly things to do in Tampa Bay. This post contains affiliate links which means if you make a purchase from one of my links, I will make a small profit at no extra cost to you. I only recommend products and companies I use and love...and I think you will, too! Thanks for supporting this blog. Before I get into specific activities, I would highly recommend getting a CityPASS if you plan to do many of the things listed below. You can save up to 50% by using CityPASS since the top attractions are all included. You'll have 9 days to use the tickets. The Tampa Riverwalk is a 2.5-mile path along the Hillsborough River. I found it to be one of the easiest and quickest ways to get acquainted with the city. As a bonus, many of Tampa Bay's attractions and restaurants are situated along the Riverwalk, so you will find plenty to do other than just walking. We parked at the Tampa Convention Center and began our trek there. We brought the sit & stand stroller since it was quite the long walk, and at one point all three kids were piled on. The sidewalk was nice and wide, and the views of the city and river were beautiful. It's one of my favorite memories of our time in Tampa: a light breeze from the river cooling us off as we took in the sights and sounds. 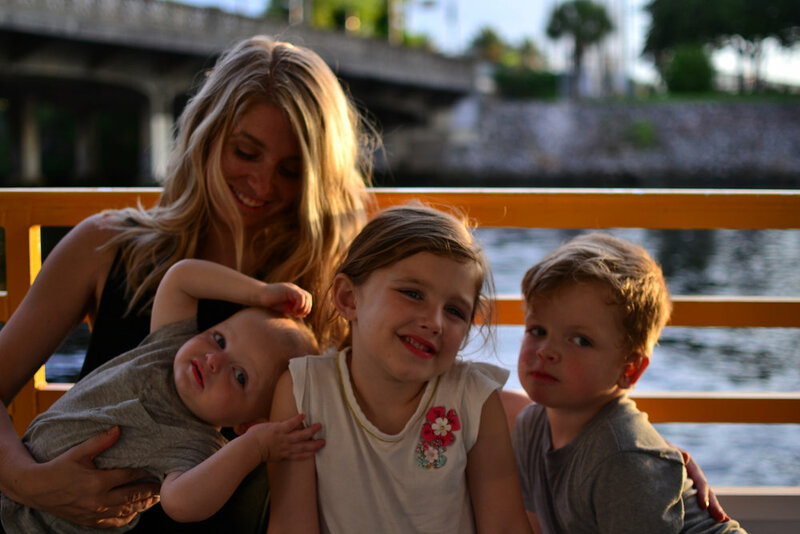 For families with young children, like ours, there are several playgrounds, restaurants, and children's attractions along the Riverwalk, so you can always stop and take a break if little legs are tired. Zoos aren't normally my thing. I take the kids because they love to see the animals, but I'm usually counting down the minutes until we can leave. Bearing that in mind, I'm going to make a bold statement: ZooTampa at Lowry Park was one of the *coolest* zoos I've ever been to. And I grew up near the Milwaukee County Zoo (which is amazing). Here's what's so special about ZooTampa. Not only is there an entire area sectioned off for young children called the Wallaroo Station, but they have free rides specifically designed for toddlers and preschoolers. Trains, mini roller coasters, flying bananas - they've got it all! In addition, there's a splash pad, petting zoo, and cafe. We also loved the Wallaby Walkabout. It's a fenced-in exhibit where kids can enter with a parent and stroll along a pathway while looking for the wallaby. When we went, she was relaxing in the shade under a rock, and the kids couldn't believe how close we were to her! Outside of the Wallaroo Station, there are tons of cool animal exhibits and you can pay a little extra for animal encounters, such as feeding giraffes. I would highly recommend ZooTampa at Lowry Park to anyone with kids visiting the Tampa Bay area. What would a Florida city be without a theme park to visit? Tampa is home to Busch Gardens, an African-inspired them park with rides and games for all ages. We spent a lot of our time in the Sesame Street Safari of Fun, an area dedicated to the toddler and preschooler set. 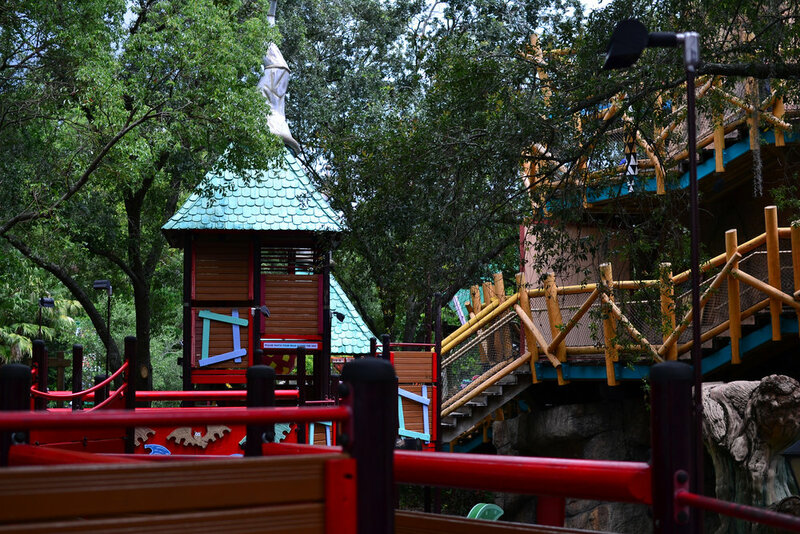 There are tons of slow and safe rides for little ones, a canopy walk with climbing and rope bridges, a bounce house, a splash pad, and characters walking around. Our kids' favorite was the Elmo show - they couldn't believe they were seeing him in real life! To be 100% honest, our kids were 5, 2, and 1 when we visited, and there wasn't a ton we were able to do outside of the Sesame Street Safari of Fun. There are a few animal exhibits to see, and a few carnival-type games and rides, but most of the rest of the park is geared toward older kids and adults. We didn't actually make it to The Florida Aquarium since we only had 3 days in Tampa Bay. We did check out the nearby Clearwater Aquarium [Included on the Tampa Bay CityPASS], home of Winter the Dolphin from the movie Dolphin Tale. If you have time, though, try to fit this one in. There's an entire section dedicated to Florida wildlife, several touch tanks, and an entire water park out back. The Pirate Water Taxi pulls triple duty as a fun activity with kids, a form of transportation, and a way to learn more about Tampa Bay. You buy tickets online or at the Tampa Convention Center stop, then board the next Pirate Water Taxi that pulls up. They come every 20-30 minutes, so make sure you check the schedule and show up at the right time. This is a hop-on-hop-off water taxi, so you can scout out your stops along the River Walk, or just ride it all the way through for a relaxing tour of the city. 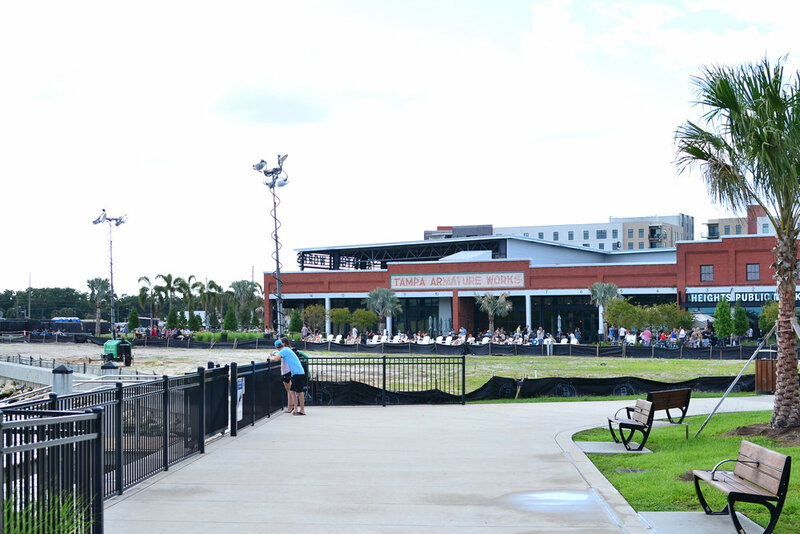 We got off at Curtis Hixon Waterfront Park for a chance to let the kids run and stretch their legs. The Children's Museum is also near that stop. Another great stop is Water Works Park, a large splash pad area. It also has two of the best restaurants, so we got back on the Pirate Water Taxi in the late afternoon so we could end up at this stop for dinner. As I mentioned above, Water Works Park was one of our stops on the Pirate Water Taxi, but we didn't actually play at the splash pad. From what we saw, though, it looked perfect for a hot day! There's a giant bucket that spills water on the kids intermittently and plenty of shady spots where parents and babies can sit. I did read other parents recommending that you buy an adult beverage in a to-go cup at nearby Armature Works so that you can enjoy it while your kids play at the park. Armature Works is a giant marketplace with eateries for every taste. You'll find everything from burgers to vegan to green juice. 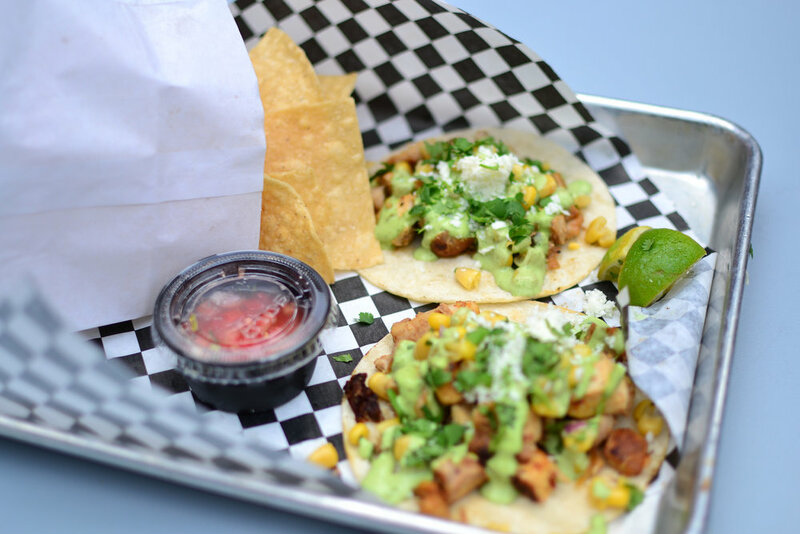 We ate at Empamama's and were not disappointed by the street tacos we tried. The kids ate chicken tenders from the kids' menu. It was honestly delicious, and we loved the communal seating and vibrant atmosphere because it meant our crazy kids wouldn't be disturbing other diners. We chose to eat outdoors in the courtyard, but you could also find seats on the lawn with a beautiful view of the Hillsborough River and plenty of yard games to keep kids and adults entertained. We weren't really thinking and ended up going on a Friday night, which means it was packed with young professionals grabbing happy hour and appetizers after work. I suspect if you picked a weeknight or went during the day it would be significantly less crowded. Despite the crowds, we absolutely loved the atmosphere and food! The Sail is a 360° waterfront restaurant outside the Tampa Convention Center. It was the perfect spot to enjoy a drink and a snack while we waited for the Pirate Water Taxi since we were about 30 minutes too early. It looks like a bar (and does indeed serve alcohol), but it is absolutely family friendly. They serve food and even have a kids' menu. Also, it's the best view of the river and city to enjoy while kicking back with some food and a craft beer. We didn't actually eat at Ulele, but I've heard so many good things about it that I thought it deserves a mention here. It is literally right next to Armature Works and Water Works Park, and is known for its food cooked on a barbacoa grill. We actually stayed outside of Tampa Bay at the Hilton in St. Petersburg. This location actually served us really well, because it was a respite from the noise and bustle of the city at the end of long days of exploring. It's about a 20-minute drive from downtown Tampa Bay, but it is also a convenient location if you plan to add beach days or time exploring St. Petersburg and Clearwater to your trip. I wrote an entire review of the hotel here complete with plenty of pictures and details. Check it out! The theme park capital of the world is just an hour and a half drive from Tampa Bay. From Disney World to Universal Orlando to the Orlando Eye and countless museums, water parks, and zoos, Orlando has tons to do with kids. Sarasota is bursting at the seams with kid-friendly attractions and activities. The Keys, tiki bars, an aquarium, and more make this city a great little beach getaway.